Well, the dust has settled, and Avengers: Infinity War has just crossed the $2 billion mark worldwide. So I think it’s safe to have a spoiler-filled reflection on one of the few films I’ve watched twice at the cinema in the past few years (the other one was The Greatest Showman…the second viewing was the singalong version! And I had the time of my life!). 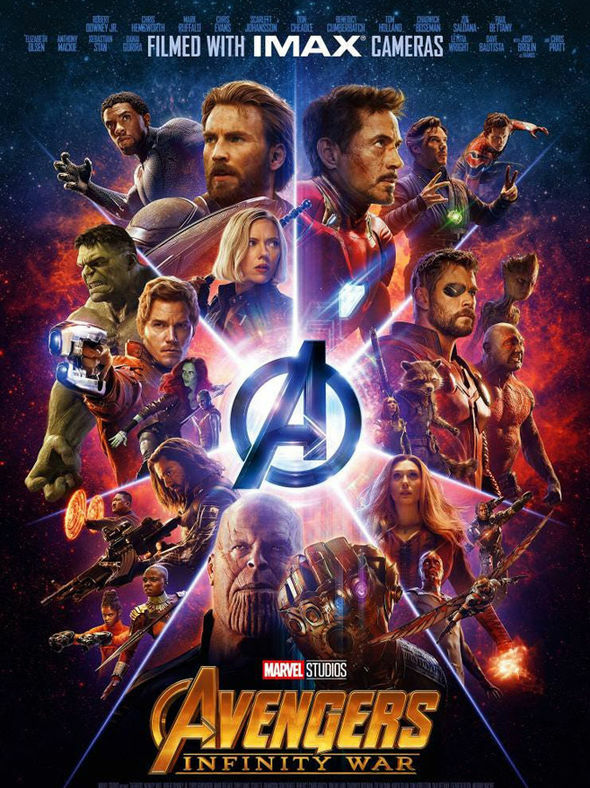 I loved Infinity War (click here to read my review! ), so it’s time for me to discuss why I loved it in-depth (and also explore a few niggles with the film!). Don’t read on if you haven’t seen Infinity War! Let’s start off with the end of Infinity War. Thanos activates the Infinity Gaunlet and kills have the population of the universe. Just when you think someone will save the day at the last minute, Thanos wins. Most of our superheroes crumble into dust (surely the most heart-breaking death is Peter Parker’s. “Mr. Stark, I don’t wanna go…”). It’s jaw-dropping. It’s a ballsy move, especially after seeing how 17 other MCU films have ended. Of course, the more you think about it, the less ballsy a move it becomes. Among the “dead” are Spider-Man, Black Panther, Star-Lord and Drax. Those in the know know that there are sequels already being filmed: Spider-Man 2, Black Panther 2, and Guardians of the Galaxy vol.3. There’s the slight possibility that they could centre around different versions of the superheroes, but that’s unlikely, isn’t it? Does that knowledge lessen the impact of the ending? I don’t think so. Second time round, I was even more emotionally affected by Thanos’ victory. Sure, it’s more than likely that by Infinity War Part 2, the dust deaths will be reversed (what else do you expect?). The demands of the Disney machine demand that sequels be pumped out and the MCU expands ever more. But I couldn’t help but lift my jaw off the floor even the second time around. Would the ending have had more of an impact if the “older” Avengers, such as Iron Man and Thor, crumbled to dust? Probably. But surely the “first” Avengers deserve a better send off? Rather than simply crumbling to death? I see this as their final hurrah before leaving the MCU. Chris Pratt…the lord of Hollywood? He’s got The Lego Movie 2 next year as well! There are other, more seemingly permanent deaths in Infinity War. The film starts with Thanos killing Loki and Heimdell. Now, Loki’s “died” a few times before. Does that mean that he will return from death once more? For me, one of the most shocking moments was Thanos sacrificing his adopted daughter, Gamora, for the Soul Stone. Although we know that GOTG vol.3 is being filmed, I hope that this death remains set in stone. As I do for the other two deaths. We need to understand that there are lasting consequences in the MCU, that some superhero deaths are permanent. Loki, Heimdell and Gamora all need to stay dead (no matter how depressing that sounds!). 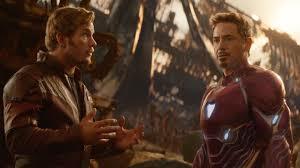 As an aside, whilst Gamora’s death was shocking, it could have been more potent, couldn’t it? Yes, we knew that Thanos adopted Gamora as a child. But an already impressive screenplay had to squeeze in some flashbacks for the two. Couldn’t this have been done in the previous GOTG films? For example, we’ve never seen that double-edged flickblade before…why not? Seeing more of their relationship before Infinity War would have reaped rewards when Thanos pushed Gamora to her death (regardless, I did have a few tears roll down my face when that happened…even the second time around!). Click here for my MCU reviews! Previous Article WM35: ‘Taker. Cena. Rematch Due.